As in past years the Railway will be holding a photographic event for enthusiasts where cameos will be performed involving engines selected from the Railway’s pool of available locomotives. 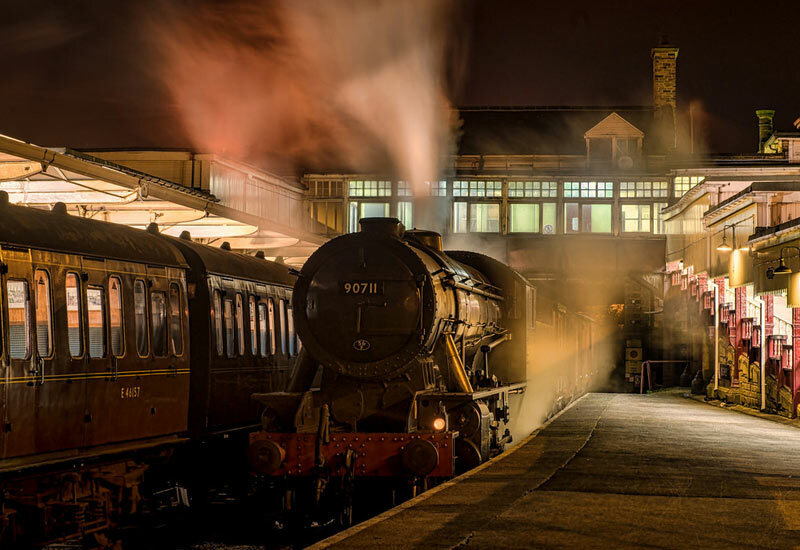 A night photo shoot will take place at Keighley Station featuring newly restored to traffic West Country Pacific, 34092 and Midland 4F 43924. Price is £25 per head with the shoot lasting approx. 2hrs with lighting will provided by Jason Cross. Places are limited so please book your place as soon as possible to avoid disappointment. 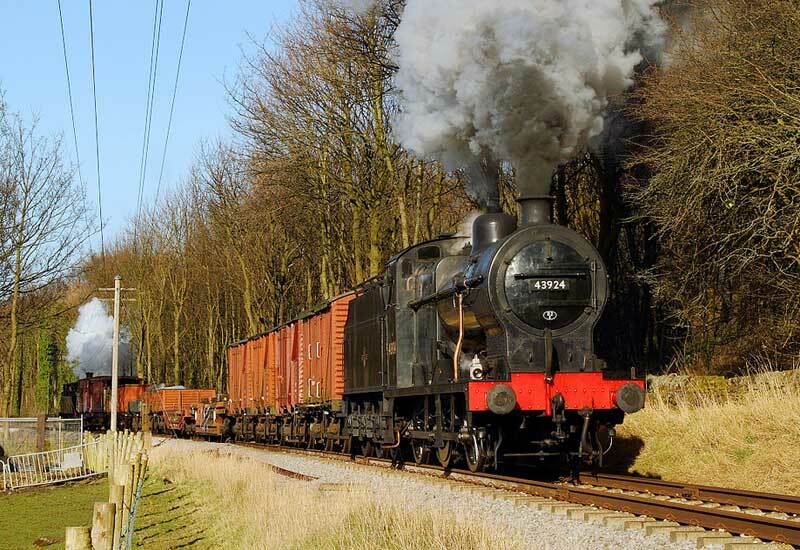 Sunday 12th October – Morning Goods Charter with “Black 5” No. 45305. This will be your last chance to see 45305 in British Railways livery prior to its repaint into LMS colours as 5305. It will be matched with a suitable rake of the Railway’s goods wagons. Price is £20 per head with places limited, so contact us now to ensure you take your place. TO BOOK: All bookings will be taken through our Admin Office at Haworth on 01535 640464. Payment by the usual means (Card/cheque). There will be an announcement soon regarding the visiting engine(s) that will be coming to the Railway for this Gala event.